At TAF Music Gifts we mount each green Peridot gemstone with an elegant and stylish treble clef design to create a distinctive and special green music necklaces. Click on an image below for details of the individual piece. Some interesting gemstone info: Peridot is one of the few gemstones that can only be found in only one colour, which is green. Peridot is a gemstone from the olivine mineral group. The actual colour of the green is affected by the amount of iron that the stone contains. Peridot gems can vary in colour from very light greens (almost yellow) through to darker brownish greens. The bottle green is called peridot, yellowish green is chrysolite and olive green is olivine. Dark olive green peridot gems are considred the very valuable. Peridot can be found in United States (Arizona and Hawaii), St. John's Island (Egypt), Burma, Australia, Norway, South Africa, Myanmar and Brazil. You may also be interested in our music themed jewellery such as earrings, bracelets and rings. All Peridot necklaces, other jewellery and non-jewellery products are designed and handmade in Herefordshire UK workshop. 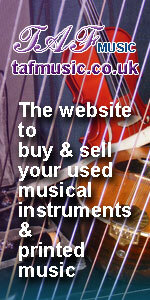 They make great music gifts for musicians, family and friends.